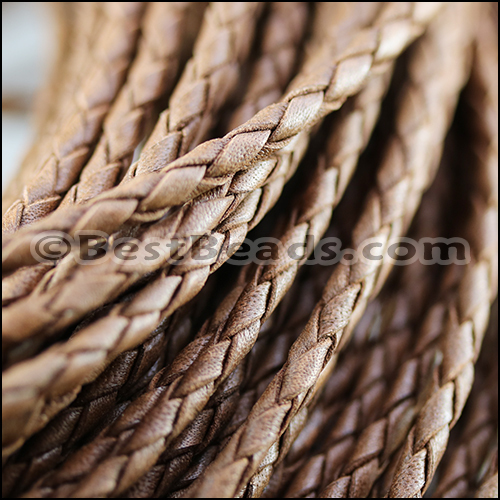 4mm Round Braided Leather MADE IN THE USA! This leather is sold per strand, approximately 3 feet/1 yard long. The ends are crimped to secure the leather.